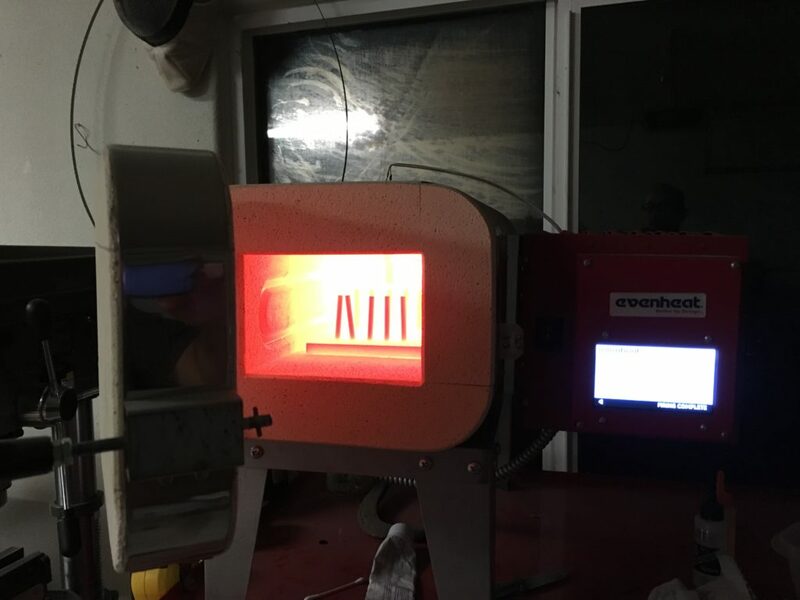 OK, I have heard that I need to be careful and not try and heat treat metal that is too thin because it will warp, and discovered that it is sooo true! 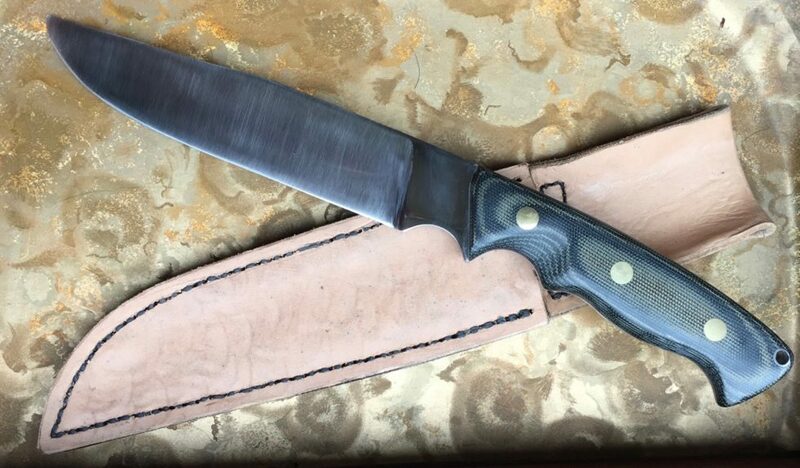 I basically turned a chef knife that I was working on into a potato chip of warped badness because I got it far to thin to handle heat treating without warping. 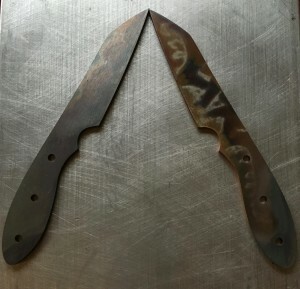 So in the spirit of learning, I took a step back and profiled two utility knifes and heat treated them first. 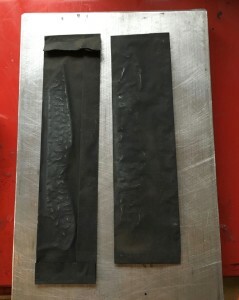 Next I will see how hard it is to grind the bevel without overheating the steel. Jeff Soule has contributed 5 entries to our website, so far. View entries by Jeff Soule. 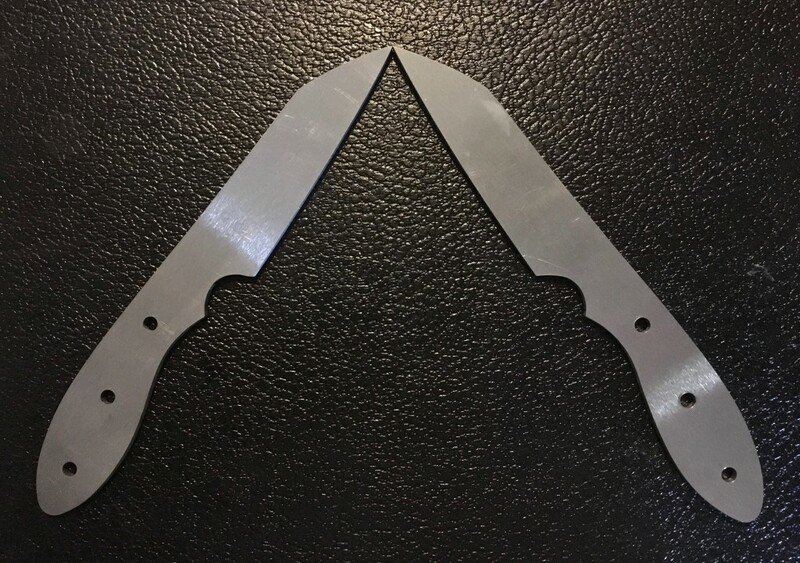 As it turns out grinding is not too bad after heat treat with AEB-L steel. This would be very difficult if I did not have such fine control over the speed of my grinder. best to do with bare hands so that I know as soon is the metal starts getting hot so that I can dunk it. I figure that it never gets above 150 degrees since I really don’t like getting burned which is far below my temper temperature of 400 degrees. This should prevent any damage to my heat treatment. I still have some minor warp issues that I have been able to carefully repair with a clamp, two nickels, a MAP gas torch and one of my aluminum quench plates. I will write about this more after I do this a few more times, hopefully without breaking too many blades.